Aim 4 Sport are a fantastic hidden archery gem in Bedfordshire. They provide archery supplies, advice and training for every type of archer; from beginners to professional athletes. We love working with them because there’s so much to talk about on social media! From the latest bit of kit for your bow to world-class seminars with Olympic coach Kim Hyung Tak. 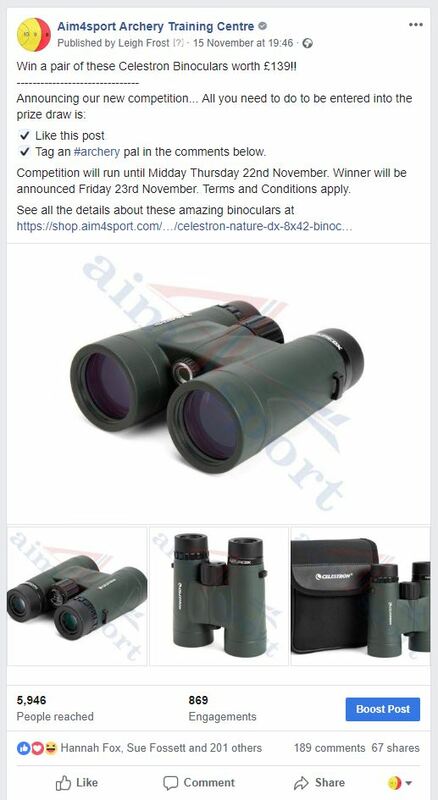 So when Dave asked us how best to create a competition on Facebook to win a pair of Celestron binoculars, even we weren’t prepared for the amazing response. You can see from the post below, the engagement with the competition was superb. 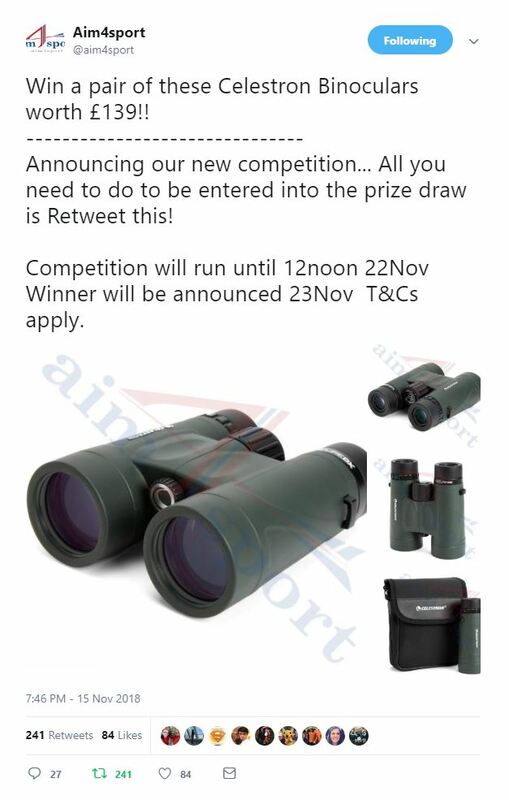 People really liked the idea, they really wanted to win the binoculars. With a little boost we managed to reach an extra wide audience – however it only cost £10!! Such a bargain to reach all those new people. It results in 108 new page likes as well. The surprise was the response on Twitter. As tagging isn’t used so much we went for a simple retweet and got just as many responses! If you’re considering running a competition, do make sure you’re checking terms and conditions and making the most of the extra engagement afterward.